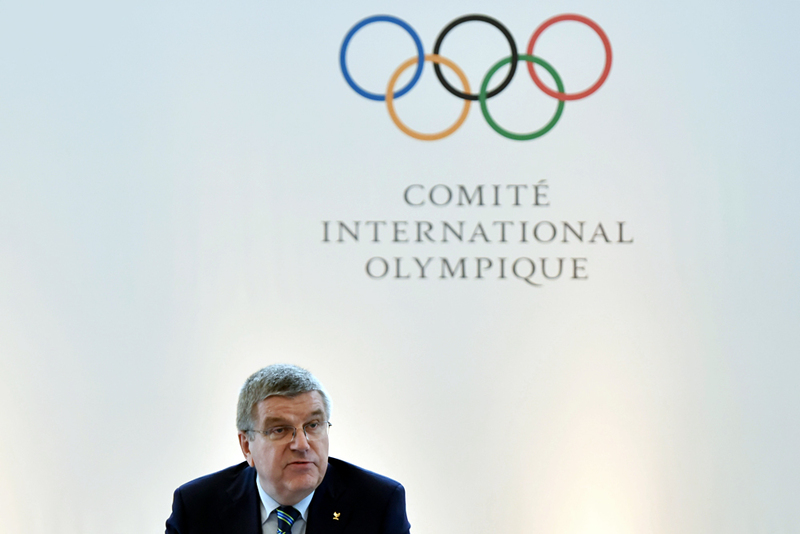 Thomas Bach, President of the International Olympic Committee, attending a press conference in Lausanne. An IOC summit in Lausanne is to discuss access by Russian track-and-fielders to the Olympic Games in Rio de Janeiro following the IAAF decision to extend the Russian Athletics Federation barring. The IOC has upheld the IAAF decision to suspend the Russian athletics team from competing at the Rio Olympics. The International Olympic Committee (IOC) June 21 upheld the decision of the Board of the International Association of Athletics Federations (the IAAF) to ban Russian athletes from competing at the Olympic Games in Rio de Janeiro. Sports lawyer Valery Fedoreyev believes the decision leaves little room for Russian athletes, including famous 28-time pole vault record holder Yelena Isinbayeva, to compete at the Rio Games. The option for Russian athletes to compete independently under the Olympic flag is not likely to taken up, he said. "Russian track and field athletes do not meet the conditions to compete under the Olympic flag," Fedoreyev told RBTH. "Typically, the IOC provides such a right to athletes from countries at war." He added: "But there has not been such case in history as with Russia [doping scandal], so it is possible the IOC would create a precedent and allow clean athletes to compete as individuals." The IAAF would eventually take decisions on individual athletes, Thomas Bach, head of the IOC said. Earlier, the president of the Russian Olympic Committee, Alexander Zhukov, said that Russian athletes who were not engaged in doping would file a complaint with the Court of Arbitration for Sport (CAS) against the 2016 Summer Olympics ban.